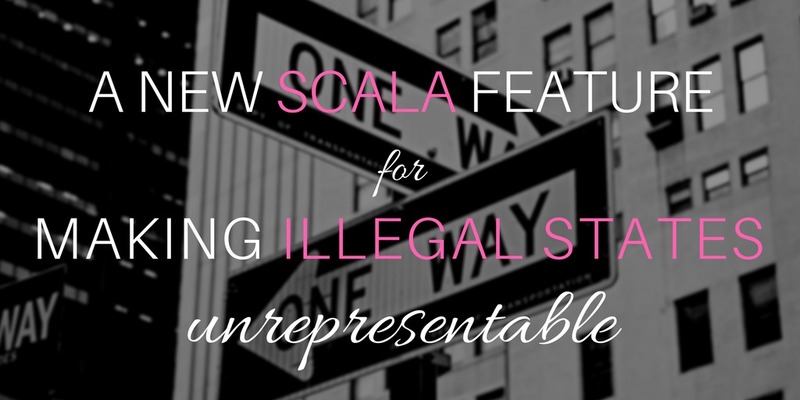 Using algebraic data types is a powerful technique for designing with types and making illegal states unrepresentable. Algebraic data types and particularly sum types in Scala are usually encoded with case classes. Case classes are very convenient because the Scala compiler generates the apply method for us, and also some other useful things such as unapply, copy, hashCode, equals, or toString. And not to mention exhaustive pattern matching. The problem with case classes prior to Scala version 2.12.2 was that we could not replace the compiler generated apply method. Trying to implement apply within the companion object would result in a compile time error. Therefore, adding the private keyword to the constructor had no useful effect. The callers could always bypass the constructor by calling the auto-generated apply method. There was no way to get all the benefits provided by case classes and at the same time control the construction of instances. With the new Scala version 2.12.2 it is now possible to replace the generated apply method within the companion object. In Scala 2.12.2 it is now possible to replace the auto-generated apply method of case classes. This way we have one more techniques at our hand to leverage the power of the type system and ideally make illegal states unrepresentable.